This winter has, so far, been pretty much a bust. Virtually no snowfall, with plenty of warm weather and rain to ensure that the little snow doesn’t stick around. I decided to head for one our closest big-mountain neighbors, Mount Ascutney, an hour down the Connecticut River, because the trail passes some nice waterfalls. If there’s no snow, at least there will be ice. I spent about an hour at the falls, enjoying the indirect lighting as the rising sun illuminated the open woods to one side of the stream. One nice feature of an icy stream, I discovered, is that you can stand on the ice in mid-stream and explore many angles you might find to be too wet in summer. Got some nice photos! More to say below. 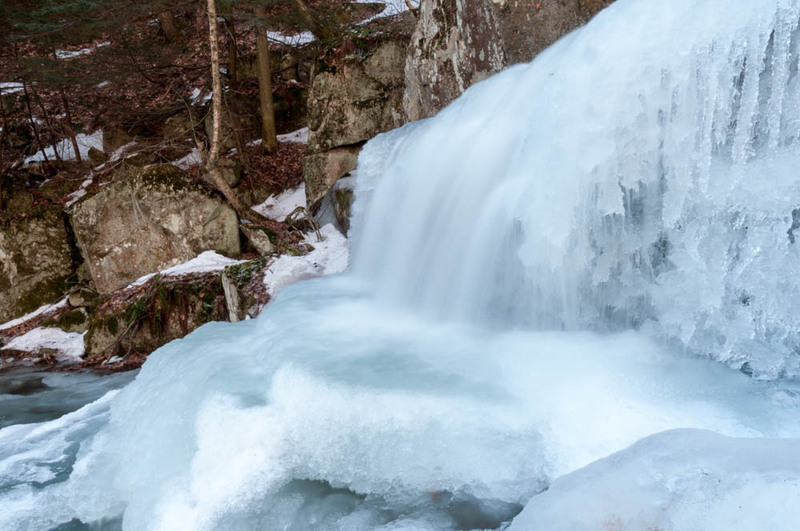 Gerry Falls, along the Windsor trail up Mount Ascutney. I was in LA for business all week, in a high-rise office with a great view of the distant mountains. 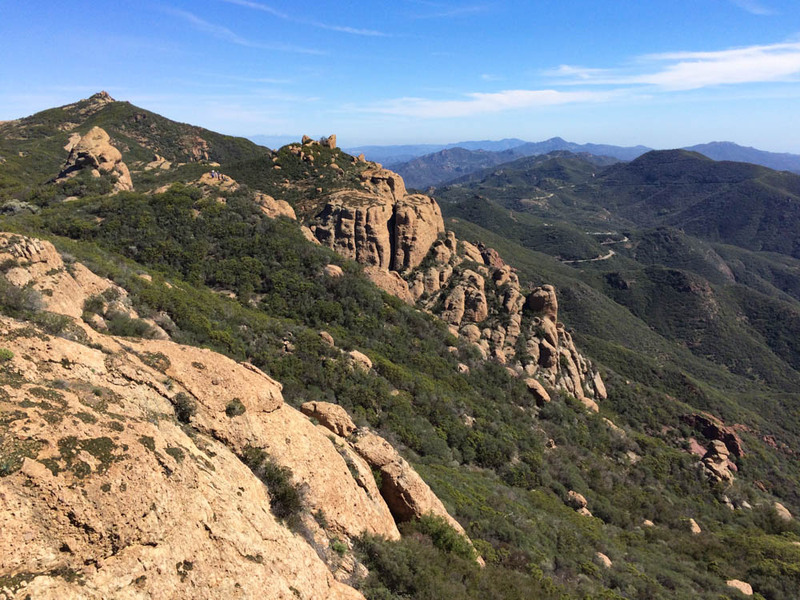 I stayed an extra day and headed out through the Simi Valley to the Santa Monica mountains to hike Sandstone Peak. A thoroughly enjoyable 6.5-mile loop, open to views most of the way! The views to the south passed over the foothills and into the Pacific Ocean, so I drove the winding road down from the trailhead, came around a bend, and ended right at the beachfront! Drove back along the coast through Malibu. A great day for a hike and drive through pretty countryside! Check out the photos. Sandstone Peak in sight – the high point of the hike ahead – with a group of hikers on the bump in middle ground.